Or at least, they were. Their village is gone. Their friends have betrayed them. And now, the emperor has sent them on a mission to rescue the children of Edgewood—accompanied by Prince Tyrus and a small band of imperial warriors. But the journey proves more perilous than they could have imagined. 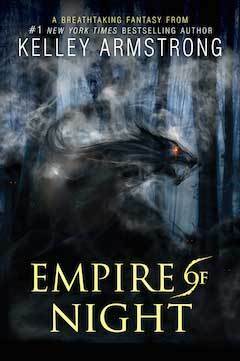 With treachery and unrest mounting in the empire, Moria and Ashyn will have to draw on all their influence and power to overcome deadly enemies—not all of them human—and even avert an all-out war. This is a thrilling sequel to Sea Of Shadows! Following the stories of Moria and Ashyn, we see the empire fall into darkness and war. Everything seems to be twisted and what we thought we knew turns out to be a lie. New ship coming through! Tyrus and Moria. Wait a second... what happened to Gavril and Moria? That ship sunk deeper than the Titanic. Tyrus is everything Moria wants, and it's obvious that she has feelings for the prince. Ashyn and Ronan were not a major ship in this book (not that I minded). I was really intrigued to see the developing relationship of Tyrus and Moria's, and I wonder who she'll end up with - if she ends up with anyone at all! The twins seem so independent, so I wouldn't be surprised if they decide to end all romantic relationships after the last book. During the book, Moria was held captive by Alvar and Gavril. This gives her plenty of time to dwell on things and think things through. That causes her hate to bubble to the surface. She despises Gavril - she constantly reminds him that he betrayed her and how she would murder him any chance she gets. Harsh! I really hope that Moria will sort things out with Gavril because I think he's hiding a deeper secret for why he's helping his father. I may be wrong (and I think I'm 90% wrong), but I really hope my theory is the case. We're not getting any straight answers from Gavril, so I think he's hiding something. Plus, he kept reminding Moria in Sea Of Shadows to always remember that he betrayed her. Why? I'd like to know! So, this series is a refreshing new trilogy to the YA Fantasy books I read nowadays. Romance isn't the main focus of the book, unlike many other YA novels. There aren't any of the cliché creatures like vampires, werewolves, etc. but rather creatures that we've never even heard of before. It's awesome!